Tickets give access to the citadel, the National Navy museum and the French East India Company museum. Since 1984, the musée de la Compagnie des Indes (French East India Company’s museum) has been housed in one of the buildings of the Citadel of Port-Louis, which is a marvel of the XVIIth century military architecture that was initiated by the Spanish and completed by architect Jacques Corbineau. The musée de la Compagnie des Indes is the one and only museum in France to deal with this theme. It brings back to visitors the exceptional story of great trading companies during the XVIIth and XVIIIth centuries. Vessel models, engravings, old maps, indoeuropean furniture, China porcelains, Indian cottons: all these artefacts are the testimony of this amazing maritime epic. 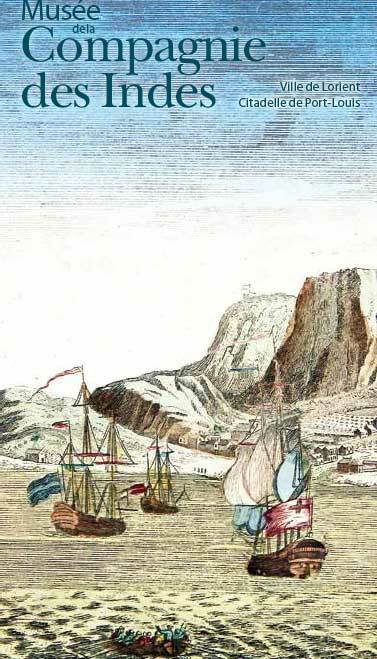 The quest for precious goods led the Company’s crews and employees to African, Oriental and American coasts after some long and perilous voyages. The names of the trading posts that had been built still are the echoes of this adventurous past: Ouiddah, Pondicherry, Chandernagore, Pegu, Guangzhou.